The CT and CT-100X Series are for 15Hz to 50Hz/60Hz to 800 Hz line frequency current sensing applications. It has an accuracy class of 0.5% to 5%. The CT Series is a low cost series consisting of 9 families and 35 different models to choose from to meet your design requirements. CT-100X has a higher cost. 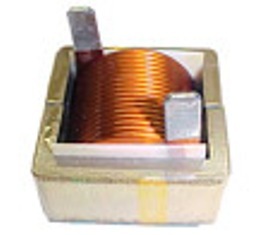 The 72-000, 72-100, 72-200, 72-300, 72-400 and 72-500 Series current transformer are mainly used in 20 Khz or higher switching frequencies in a switch mode power supply. There are over a hundred models of the 72 series to choose from to meet your design requirement.